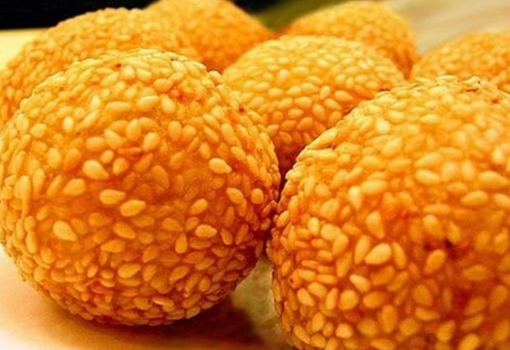 Start a small food business or merienda cart selling buchi as part of the menu. Here is a simple recipe for you to learn today. <>If you are familiar with the menu of fast food chain Chowking, for sure, you know that it serves a special rice cake or kakanin known as buchi. It is usually included in the meal combos as a handy dessert. Some people prefer to have it after enjoying siopao asado, while others assert that it is best with sago’t gulaman as panulak (beverage). Buchi is another rice cake that is traditionally made of ground rice (rice soaked in water overnight) and molded to assume its round shape. It is typically coated with sesame seeds and deep fried. For those who are unfamiliar about it, expect to have a surprise inside it the moment you take a bite. There is a sweet filling made of red bean paste (mashed red beans). Ube halaya can also serve as an alternative. 1. 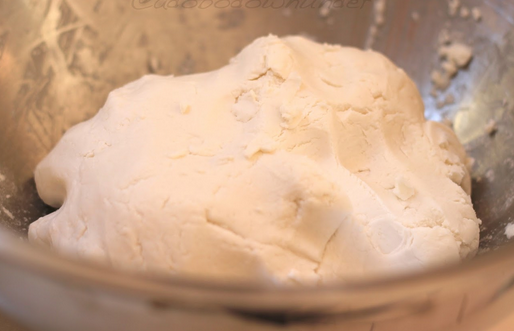 Mix flour, water, and salt in a bowl. Knead to form dough. 2. Divide the dough into small pieces. Shape each into a small ball before flattening the middle using your thumb. 3. Carefully put a tablespoon of sweet red bean paste into this flattened middle. Then, slowly wrap the dough around it. The idea is to have it as filling for your buchi. To make sure the paste would not spill, pinch the edges together as if sealing it. 4. Roll the dough in your hands to achieve a round shape once again. Do the same in all the small pieces of dough. 5. Roll each ball-shaped dough over sesame seeds. 6. Deep fry in a pan full of cooking oil. Let the balls fry until those achieve the typical golden brown color, an indication that cooking is completed. 7. Drain on paper towel and serve hot, if possible.